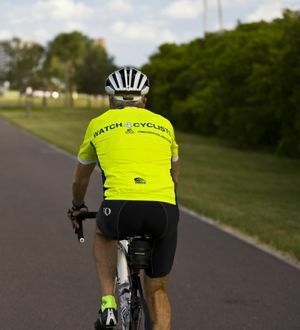 Jim Dodson Is The Clearwater Bicycle Accident Lawyer Who Understands. Serving all of Florida. ?How Much Does It Cost to Hire a Bike Accident Lawyer? Posted on 02/11/2019 Where You in a Bicycle Crash in a Florida Parking Lot? There’s nothing I enjoy more than getting out on my bike cruising the barrier islands and enjoying our beautiful Florida scenery. But there’s another side to biking in Florida that I also know all too well: the impatient drivers who think that the road belongs exclusively to cars; the distracted drivers who are so engrossed in a cell phone conversation that they fail to notice cyclists on the road; the drivers who speed and disregard stop signs and traffic lights, and who use bike lanes as if they were for the benefit of cars; the hecklers that pass within inches, all the while yelling that bikes belong on sidewalks—and a few other choice words; the drivers that cut a bicycle off without a second thought. 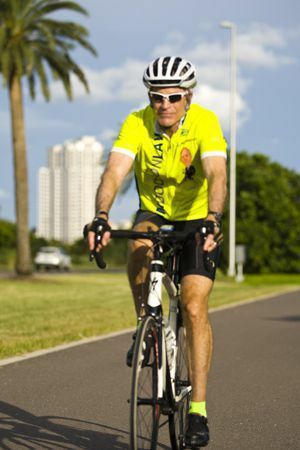 I know firsthand the hazards cyclists face on Florida’s roads, because I deal with them myself. So when clients come into my office with serious injuries, their lives turned upside down, their ability to ride put on long-term hold, my heart goes out to them. I fight aggressively for all my clients but I hold a special place in my heart for fellow cyclists who were doing nothing more than exercising their legal right to share the road and paid a price that no one should have to pay. Did You Suffer a Head Injury? We Can Help. I am an experienced personal injury lawyer, and I am a cyclist. If you’ve been hurt by an impatient, aggressive, distracted, impaired, or careless driver, you can count on me to fight with everything I’ve got to see that justice is served. Although we have a climate that makes Florida a wonderful place to ride, our state is one of the most dangerous states for cyclists. Nearly 5,000 bicycle crashes caused 76 deaths and 4,600 injuries to cyclists in 2010 alone. Many of these were caused by drivers who weren't paying attention to the road and didn’t see the bicycles, or they did see the cyclists but chose to disregard their right to share the road. I hope for a day when Florida’s roads will become more bike-friendly and dedicated bike trails will make it easy and safe to get everywhere we want to go without taking our lives in our hands. But in the meantime, if you are hurt or if someone in your family was killed because of a negligent driver’s disregard for the rules of the road, I’ll do everything the law allows to ensure that you get a full and adequate recovery that will compensate you for all your losses, both financial losses and the loss of the ability to enjoy your life and do the things you love. For the representation you need from a bicycle accident attorney who knows and cares about cycling and cyclists, call me at 727-446-0840 or send me a personal email and tell me about your accident. You can always trust me to keep your information private and never to share it with anyone. 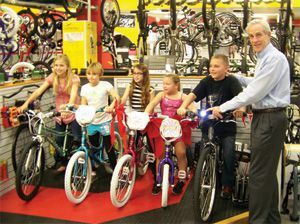 Jim Dodson knows how much a bicycle means to a child. "I know what the first bike represents to a kid" Dodson says. "Freedom, independence, and of course the opportunity to get exercise." Each year our law firm has the Bikes for Kids Christmas Giveaway. We have partnered with our friends at Chainwheel Drive, in Clearwater, to make five kids happy each holiday season. "The people of this community have given me so much. Helping these kids is just a small way that I can give something back," Jim says. We have been working with Jim Dodson Law for the past 2 years, through sponsorship for our annual bicycling event, Tour de Cure. He has been a wonderful asset to have as an exhibitor at our annual event to facilitate through situations that our riders might have or could possibly have in the future. We are grateful to have built this connection and have him as a rider and fundraiser to support the mission of the American Diabetes Association. Thanks to Jim and the Dodson Law Firm for getting the word out about bike safety. The Dodson firm, through Katie, is an energetic supporter of the Sarasota Manatee Bicycle Club's efforts to teach bike safety to kids and to educate the adult rider on bike laws. Thanks for your hard work.